From a senior source in the room: The negotiators ate candied pretzels and drank diet coke. After complaints that the food wasn't so healthy they got fruit and cheese today. Administration officials sat around the table with Senators and no staff. They worked on paper. No one had a laptop computer so it was all written on a pad and then input to the computer – which led to some confusion at times. From four Democratic sources: Speaker Pelosi hit the roof when Sen. Reid went to microphone to announce the deal. Reid had called Pelosi in advance and she said, "do what you need to do." But she felt the deal wasn't done. When Reid got back to his office he was told Pelosi's furious. He called. They all walked over to Pelosi's office to work it out. One person present says that her people were angry so the Administration folks and Reid heard her out. The President then called Pelosi to say thanks for your support – ie, the train is leaving the station, let's all be on it. 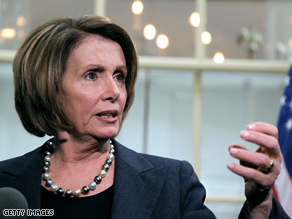 Pelosi was ready to go along and they moved on to resolve the final sticking points. Now it's kumbaya and Reid, Pelosi and Obama are at the Ford Theater. One administration official says the House leaders don't like the idea that they are being forced to accept terms dictated by a handful of Republican Senators. But that's a problem House Democrats will have going forward because they'll need the centrists on every big fight. More detail from one person present: they negotiated at a conference table in a room opposite Reid's office (inside his suite). At one point White House Chief of Staff Rahm Emanuel took over one of Reid's aide's desks and was yelling at people, including Reid's staff 'till he said, "Oh you don't work for me; I can't yell at you." Lots of Emanuel running between the conference table room and Reid's office and making calls. Evening Buzz: To the Re$cue? Cue the theme song to "Let's Make a Deal". They may be humming it on Capitol Hill. The House and Senate have agreed on a compromise $789 billion economic stimulus bill. That's a lower cash amount than the earlier versions by each chamber. - A homeowner tax credit significantly reduced from the Senate version of $15,000, double that of the House bill. - A tax credit, also reduced from the Senate version, for people who buy a car in 2009. - Funding to patch the alternative minimum tax, originally intended to target the wealthy but now hitting many middle-class families. - $90 billion of increased Medicaid match to states. - $150 billion for infrastructure, including $49.6 for transportation infrastructure. Are you liking what you're reading? Do you think the plan will help boost the economy? Sound off below. Tonight there's also new outrage aimed at Wall Street. Get this: Merill Lynch is accused of giving big cash bonuses to top people, even when it was broke and getting billions in taxpayer money for its merger with Bank of America. New York Attorney General Andrew Cuomo says that as far back as October 29th he started asking Merrill Lynch what plans it had for executive bonuses. He says Merrill just dished out its bonus policy, but didn't say who would get them. Weeks later, Cuomo says Merill Lynch secretly moved up the bonus pay date. And, a whole lot of cash was given to top executives. Cuomo says $121 million of it went to just four people. Four others got a combined $62 million. Then six others split $66 million. The grand total: $3.6 billion. Yep, billion. I bet that gets your blood boiling. Join us for these stories and more tonight at 10pm ET. 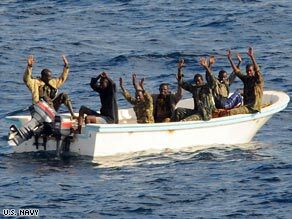 Seven men suspected of trying to pirate a tanker raise their hands before their arrest in the Gulf of Aden. 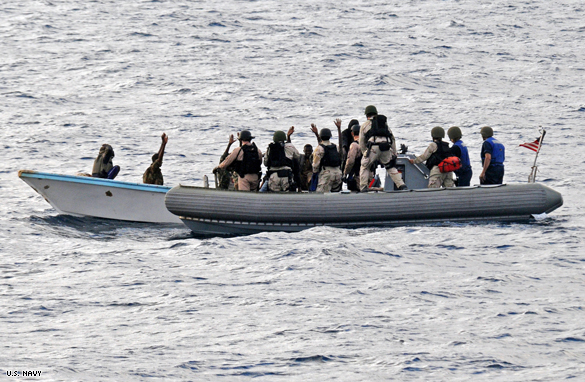 The U.S. Navy has captured seven suspected pirates in the Gulf of Aden, the first arrests by a U.S.- led task force set up to curb the rampant piracy off the Horn of Africa, a Navy spokesman said Wednesday. Sailors from the cruiser USS Vella Gulf arrested the men in the western Gulf of Aden after a distress call from the 128-meter (420-foot) tanker Polaris. The tanker reported men aboard a small skiff were attempting to board the ship using ladders, but its crew removed them before the would-be hijackers could get aboard, the Navy reported. The Vella Gulf found and boarded the skiff, and the tanker's crew identified them as their would-be hijackers. 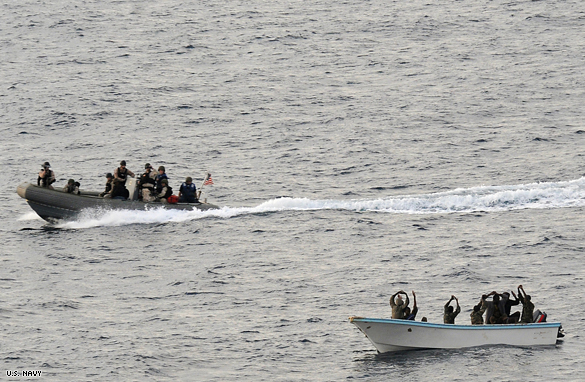 The prisoners were taken aboard the Vella Gulf, the current flagship of the task force now patrolling the western Gulf of Aden, and eventually will be transferred to Kenya for trial, said Lt. Nate Christensen, a spokesman for the U.S. 5th Fleet. 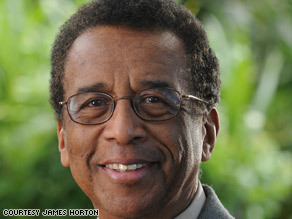 Have a question for the next CNN Money Summit? Americans are coping with a terrible trifecta of wealth destruction. Workers are being laid off in numbers never seen before - almost 600,000 jobs lost last month alone. Retirement accounts have been sliced nearly in half. 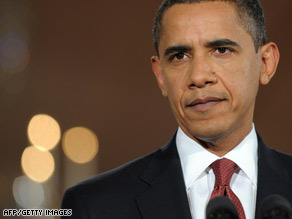 President Obama and Congress are working on a stimulus package to reverse the downward spiral through big spending and big tax breaks. Will it work? How quickly? We’ll examine the problems and explore the solutions in the next CNN Money Summit Tuesday, Feb. 17 at 11 p.m. ET. But we want to know what you're thinking. Do you have a question for the CNN Money Summit team about your job, your home or your financial opportunities? Did you find out about the CNN Money Summit on Facebook? If you did, let us know in your questions!!! 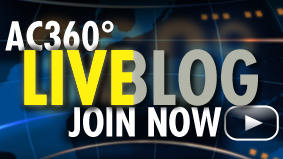 Send us your iReport questions by clicking here. And, if you can, send us your video questions!. Few relationships in American history have been more remarkable than that between President Abraham Lincoln and black abolitionist and former slave Frederick Douglass. Lincoln was born a Southerner 200 years ago, on February 12, in a rough-hewn cabin near Hodgenville, Kentucky. He spent most of his adult life in the North, working a series of odd jobs before becoming a lawyer and a leading Illinois politician. The announcement last week that Trader Monthly magazine was ceasing publication was one of those moments when a chance arrow of history scores a perfect bull's eye on a deserving target. 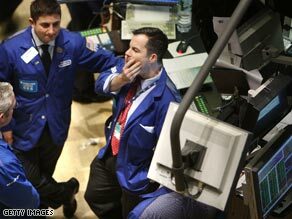 The current recession, brought on at least in part by Wall Street's bonus lust, has claimed countless innocent victims. But in this case it has finally delivered a comeuppance to our era's loudest, gaudiest, cockiest champion of Wall Street excess. 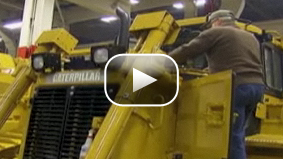 CNN's John King visits Peoria, Illinois where many people were laid-off from Caterpillar. For those curious, the name Peoria came from an American Indian tribe in the Illinois confederacy of tribes. A commonly found translation of the name from the Miami-Illinois language is “he comes carrying a pack on his back.” Tribal websites recount how disease and wars forced the Peorias to relocate from Illinois westward to Kansas and finally into Oklahoma.